Kings Landscapes - Tree Surgeon based in Aspley Guise, Buckinghamshire. Kings Tree Surgeons are a specialist arboricultural contractor based in Milton Keynes. We are a family run business which has been established for 15 years. Kings prides its self on delivering quality workmanship and a friendly service to all our customers, no matter how small your job is. 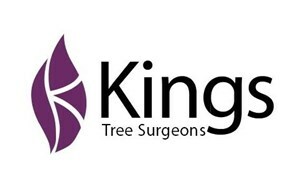 All staff at Kings Tree Surgeons are City and Guilds qualified in all aspects of tree surgery. We have full employers liability insurance and all our staff are St Johns Ambulance first aid trained. So whether you require an emergency tree removal or simply just need your trees and hedges shaped or trimmed you can rely on us every time to deliver the perfect job to meet your needs. We provide free no obligation quotations and advice in a prompt reliable manner. Kings Tree Surgeons are happy to cover Bedfordshire, Hertfordshire, Buckinghamshire, home counties and sounding villages.